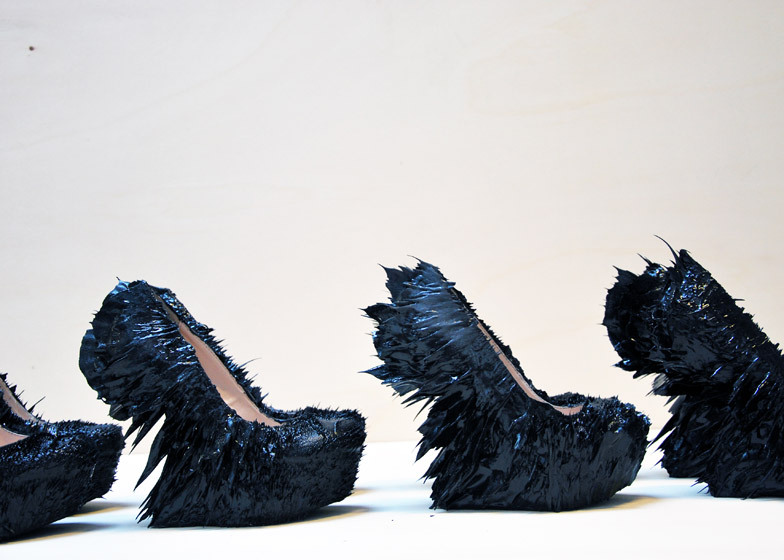 These prickly looking shoes and accessories by Dutch designer Jólan van der Wiel were formed using magnets and worn during Iris van Herpen's latest catwalk show (+ slideshow). To create the textured footwear, Jólan van der Wiel combined resin with iron filings and shaped the mixture around a base shoe. Before the soft plastic material set into shape, strong magnets were used to pull small portions into spikes across the surfaces. "What you see on these shoes is that the front has really small spikes and the back has very long ones," Van der Wiel told Dezeen. "The material itself is very soft, almost cuddly. So it looks dangerous but they feel great and are great to walk in." Each pair of platforms is unique due to the production process. The material behaves slightly differently when manipulated by the magnets due to the arrangement of the filings. 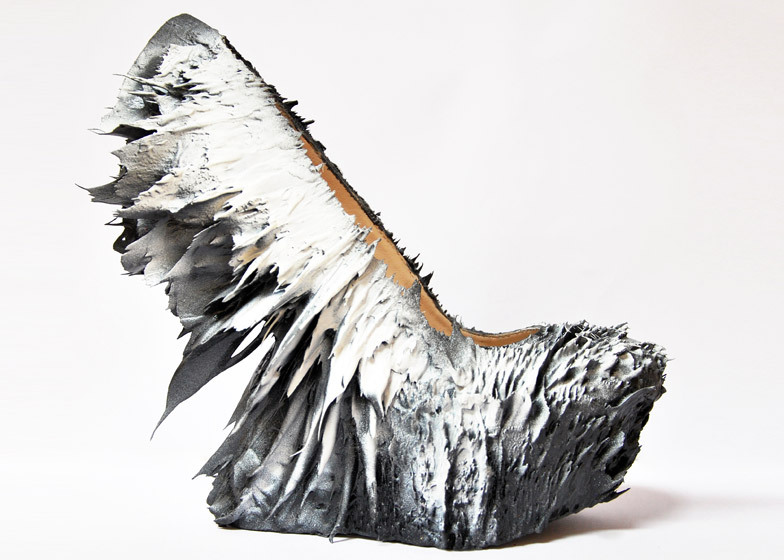 Raised heels project backwards from the sole to appear unsupported. 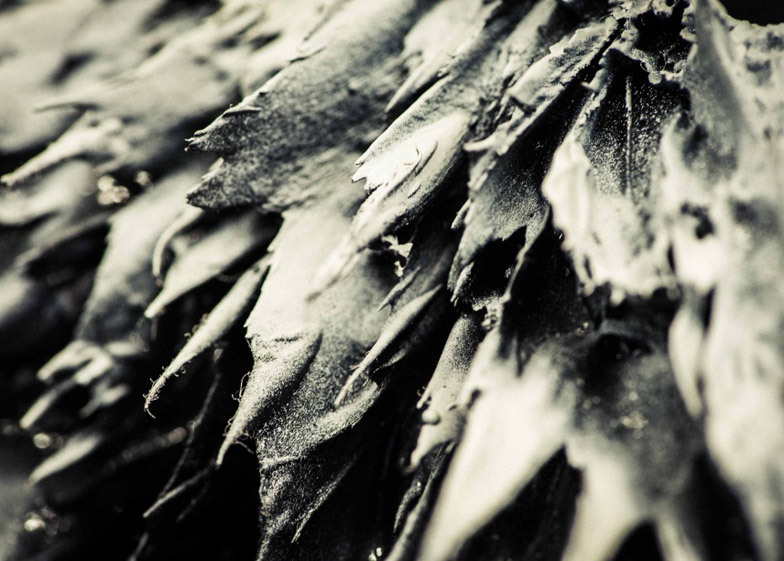 Pigments are mixed into the resin in different quantities and distributions, creating a variety of colours from pure black through to marbled grey. 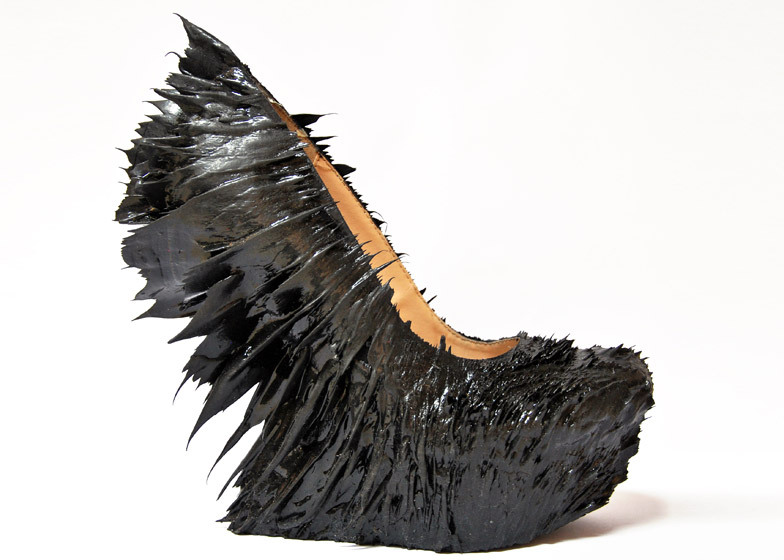 The shoes were worn by all of the models in Dutch fashion designer Iris van Herpen's Spring Summer 2015 fashion show in Paris last month, which also featured belts, jewellery and clutch bags made in the same way. 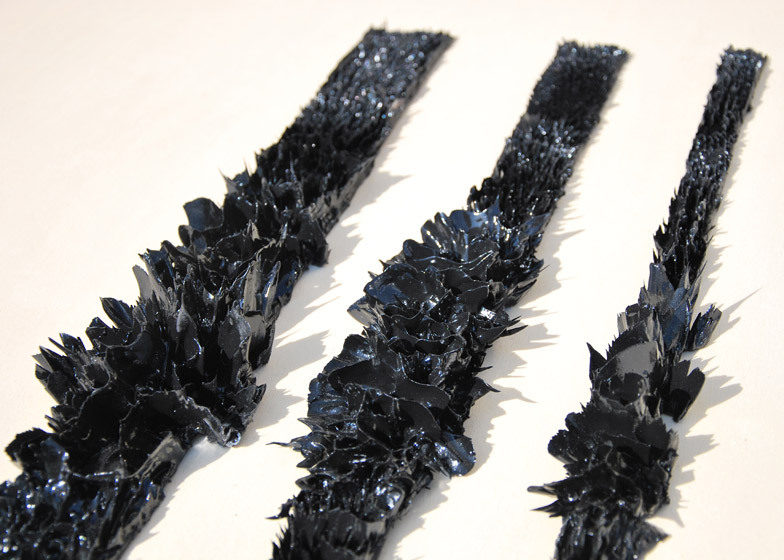 Waist belts and choker necklaces both have longer spikes in their centres so they point out further from the front of the body. 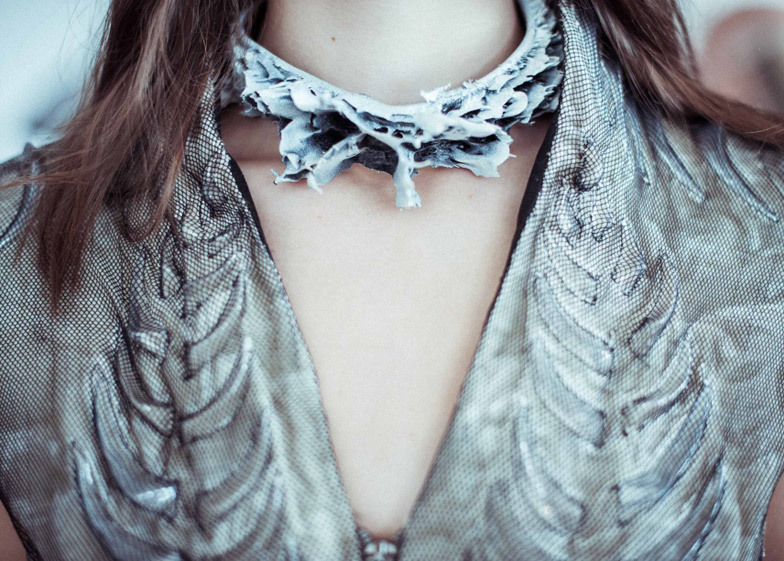 This is the second time the Dutch designers have collaborated – the duo "grew" dresses using magnets for Van Herpen's Autumn Winter 2013 collection show last July. Van der Wiel has experimented with magnetism to create products since launching his Gravity series of stools shaped using the technique in 2011. He has since produced candlesticks and fantastical architectural models with variations of the same method, which has developed over time. "We have been practicing more and more, and we are getting better in the detail," the designer said.